Reid Coolsaet sets a course record 1:07:31 at the 2018 Rochester Half Marathon. Double Olympian Reid Coolsaet, who has been tearing up the shores of Lake Ontario with recent wins at the Rochester Half Marathon and the Ajax Waterfront 15k, will be defending a broader swath of the lake at the Scotiabank Toronto Waterfront Marathon on October 21. 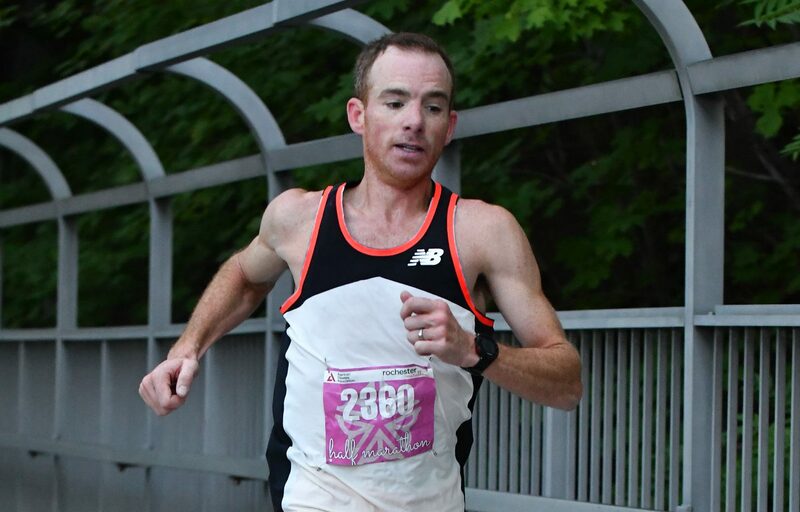 We catch up with Reid and discuss the stellar field for the upcoming race, his 2:10 marathons, Rio and Boston in the rain, Eliud Kipchoge, Cam Levins, Yuki Kawauchi, and of course, advice on setting a PR. Elsewhere in the episode Nate Jenkins offers a killer workout, and we take a quick peek at this weekend’s 26.2 in Chicago.